You are here: Home / Chapter 7 Bankruptcy / Has Your Overspending At Christmas Come Back To Bite You? Has Your Overspending At Christmas Come Back To Bite You? There is no bigger shopping season than the time between Thanksgiving and New Year’s Eve. The Main Street marketing firms are getting you to purchase as early as Thanksgiving, all the way through Christmas and even after Christmas until the first of the year. Many Americans make those purchases on credit. 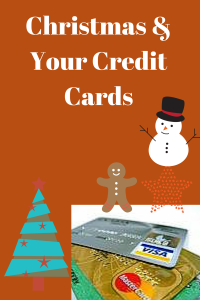 Usually the first credit card statement after Christmas is a little bit of a sticker shock but manageable by making minimum payments. When the February statement comes, and another minimum payment is required, there is very little movement with regard to the outstanding balance due. This inability to see the numbers move to the downward can cause one to panic. There are options however. You could continue to make the minimum monthly payment and deal with the debt throughout the year and beyond. You could also try to make a larger payment by cutting back on your budget in other areas to tackle this debt. You may simply be in a situation where you cannot pay even the minimum because other expenses in your life such as rent, transportation, medical, utilities, mortgage, and auto payments might have increased for you. If that is your situation and you’re looking at your February credit card statements with bewilderment, there’s another option for you. You could try and consolidate all your debt in one of those non-bankruptcy credit and debt management companies. Unfortunately, what sounds like a good idea may turn out to be a disaster. After all, you have to pay those companies a fee for the service of getting your creditors to cooperate. Worse yet, all your creditors may not cooperate in accepting a lower payment plan. It just takes one creditor to opt out and sue you and garnish your wages to throw your whole repayment plan into the fray. What I would recommend is that you talk to a bankruptcy attorney so that you can see all of your options. Bankruptcy does not have to be the end of the world type scenario for you to avail yourself of federal law. You may be entitled to a fresh start. You may also wish to consolidate the debt under chapter 13 and repay it. The opportunities and options that await you depend upon your income, your expenses, your assets and your liabilities. My office has helped thousands of individuals and families over the past 23 years by providing options and solutions to get you out of debt. If your Christmas and holiday spending has put you way over the edge and way above your limits, now would be a good time to talk to a professional. It’s better to know your rights and learn your options before sinking deeper and deeper into debt.